Kanak, the Indian restaurant at The Trident at Hitech City is offering a special Ramzan Feast for the food lovers of this city. 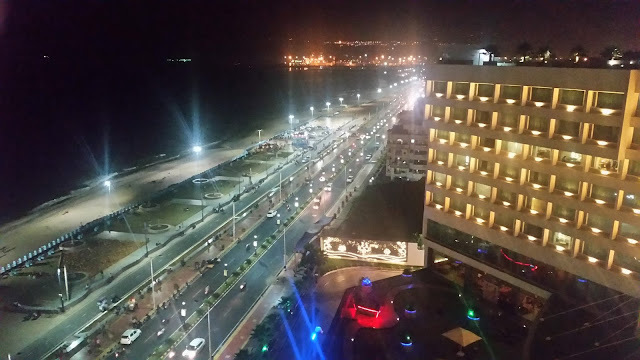 The menu not only has the special dishes from Hyderabad, it also presents a whole lot of delicacies from the cuisines of Kashmir and Awadh, where Ramzan is celebrated with equal gusto. The appetizers from Kashmir include Kokkar Kanti, a dish very popular in the mohallas of Srinagar, and the vegetarian starter Nadir Mand or deep fried lotus stems marinated in a spicy paste. Awadh had its representation in Tandoori Bharwan Aloo, while Haleem and Tala Hua Gosht is there for people who want to stick to local food. The haleem has the right meat and wheat combination and adequate ghee and spices. The talawa is a little different, more wet than usual, interspersed with a few curry leaves, and with tender pieces of mutton. 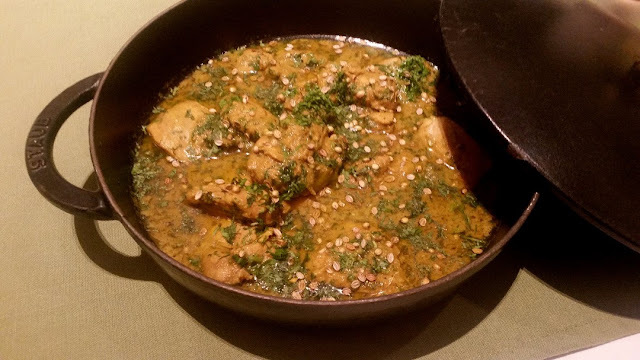 Among the main courses we recommend Dhaniwal Kurma, a flavourful saffron-based chicken recipe from Kashmir had a lot of fresh coriander in it. 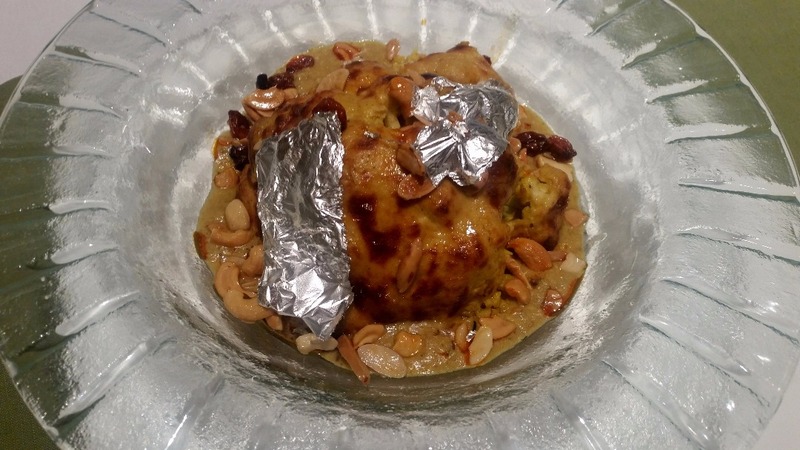 Gobi Musallam, a cashew nut and yoghurt based preparation of cauliflower is distinctly Awadhi. Dahi Gosht is another main course not to be missed. The rice dishes available are Hyderabadi Kachi Gosht Ki Biryani and Navratan Pulao. 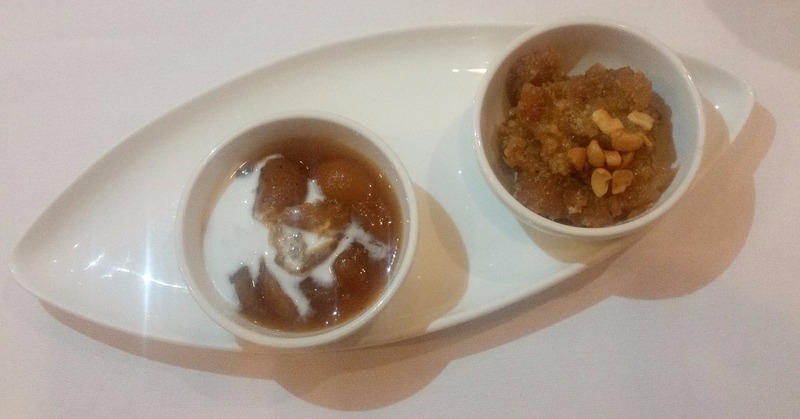 A fitting finale to the dawaat are the desserts - Balushahi, Seb Ki Kheer and Lauki Ka Halwa are on the list. SodaBottleOpenerWala, the Bombay Irani Café with a Hyderabadi touch has specially launched “Gyararah Handi Haleem”, a bouquet of eleven different preparations of haleem. The recipes have been sourced from different sources, including Hyderabadi homes. The promotion will be on all through the month of Ramzan. The star among the preparations is definitely Anaida’s Original Persian Haleem, a very subtle preparation with a silky look, different flavours and with very little spices. The Special Mutton Haleem here is topped with Tala Hua Gosht, and the Special Chicken Haleem similarly has boneless chicken cubes. 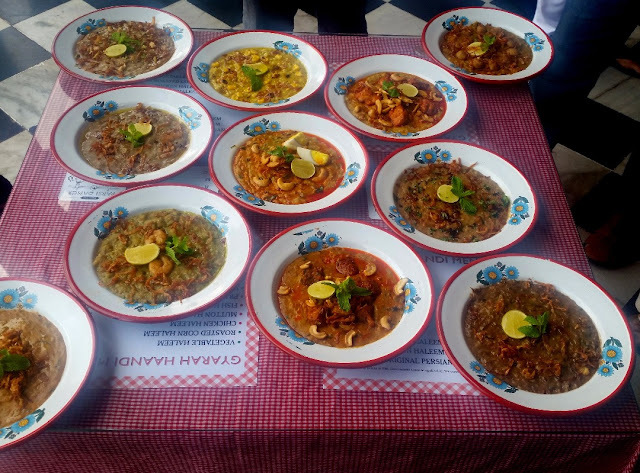 There are also haleem preparations with Turkey, Duck, Prawns and Fish. Out of these, my pick is the Turkey Haleem. Vegetarians need not be disappointed too. 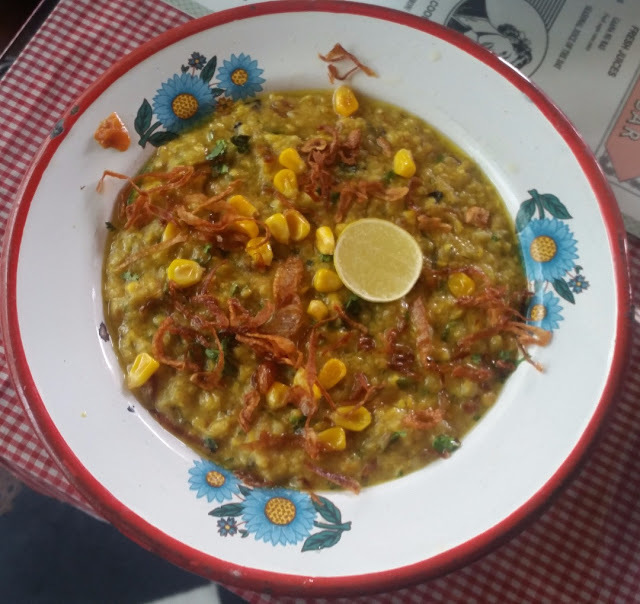 The Roasted Corn Haleem here is an absolute winner whereas Vegetarian Haleem with Soya is pretty decent too. Even as a biased non-vegetarian, I would possibly rate the Corn Haleem at par with most of the non-vegetarian haleems here. 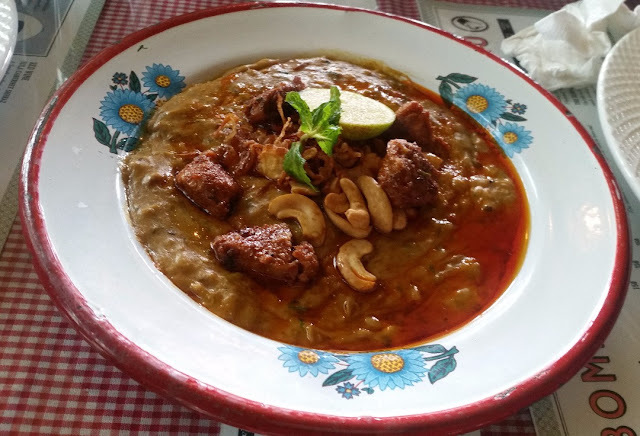 Apart from haleem, you can choose the dishes from the Hyderabadi menu (Read: The Hyderabadi Menu at SodaBottleOpenerWala) like Warqi Lukmi, Dum Ka Murgh, Talawa Gosht and Biryani. Qubani ka Meetha among the desserts is a good bet. 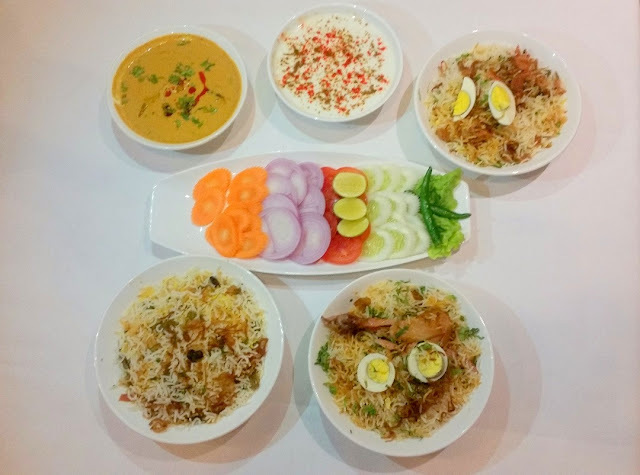 Green Park Hotel in Begumpet has traditionally been having a special short menu for the Ramzan period. Apart from serving these at their fine dining restaurant Once Upon a Time, they also have a special counter for takeaway. The takeaway items are extremely attractively priced almost at street food level, though I personally prefer to enjoy the food in the ambience of their restaurant. Green Park’s Boneless Mutton Haleem is one of the better ones in the city. 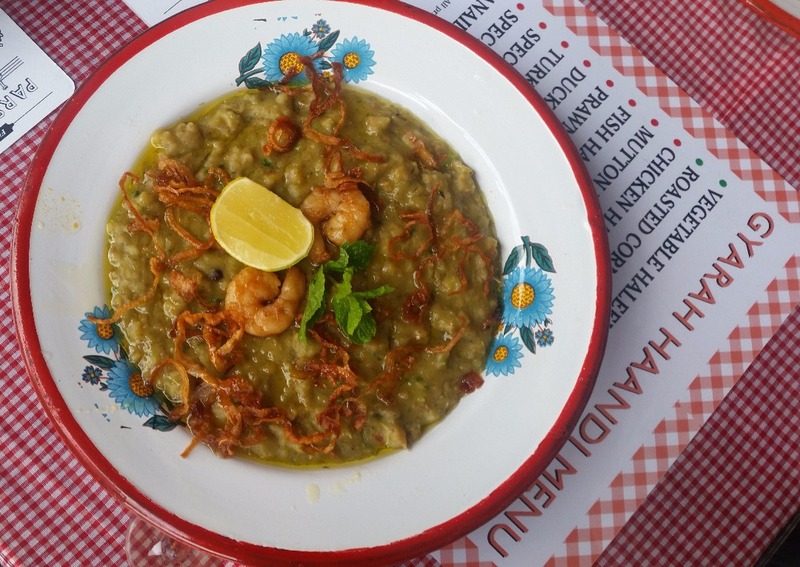 The haleem is blended together well, and it is never too oily. I feel they have maintained the same consistency for their haleem for the last few years. 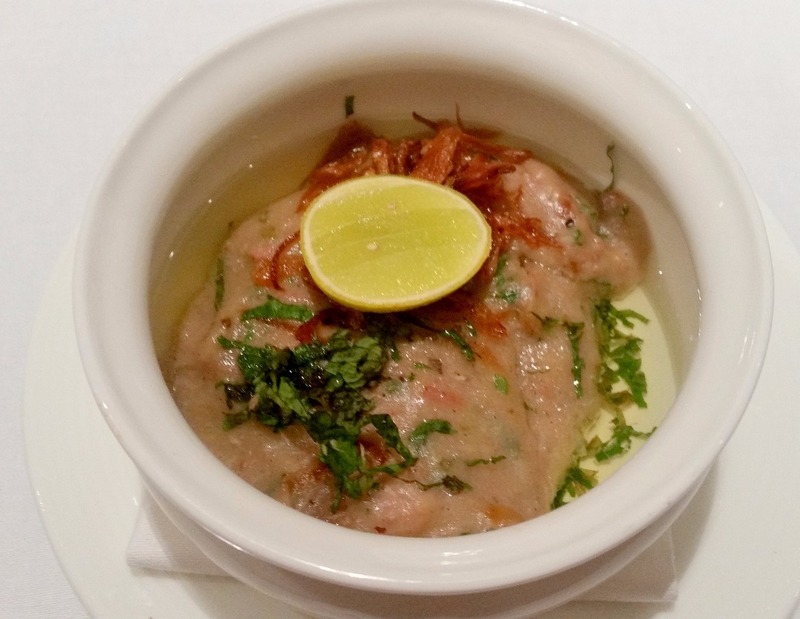 (Read: Haleem at Green Park Hotel) The Paya Shorba here is tried and tested from their popular Midnight Buffet. 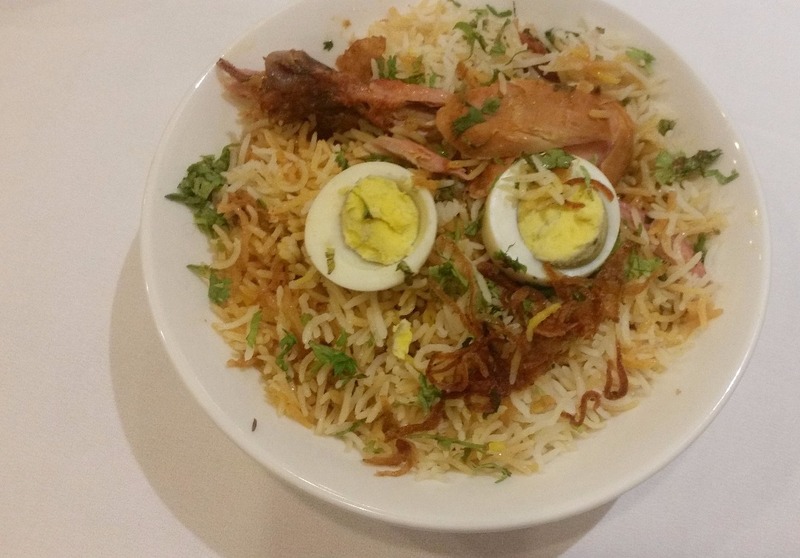 They also serve three varieties of special biryani for Ramzan – mutton, chicken and vegetarian. Both Mutton and Chicken Biryani impressed and the quality of salan and dahi ki chutney here are very good too. The Vegetarian Biryani was a tad too dry and was not among my favourites. For desserts, they have Khubani ka Meetha and Double Ka Meetha. The apricot dessert tastes consistently good. The Ramzan delicacies are available from 6 pm to 10 pm. They have also put a special counter at Hotel Avasa at Madhapur for their haleem.